Here is the latest update on the steady rain approaching. We have had a few showers today with these strong east to southeast winds sustained at 15-25 mph with gusts 30-40 mph. Between any spotty showers, there has been dim sunshine. Temperatures are running 50-61 over the area right now with Covington the warmest at 61. Steady rain is approaching & will move in this evening with temperatures dropping to 48-54 area-wide. It will continue to be windy with east-southeast to southeast winds 15-25 mph with gusts 30-40 mph through the evening. The heavy rainfall south of our area is intercepting the deeper moisture transport northward from the Gulf of Mexico. So, I trimmed rainfall totals from 0.50-1" (since lastnight to Friday morning) to 0.10-0.50". After some showers Friday morning, Friday looks a bit gray, but it will be warmer with less wind. Highs will run 58-65. 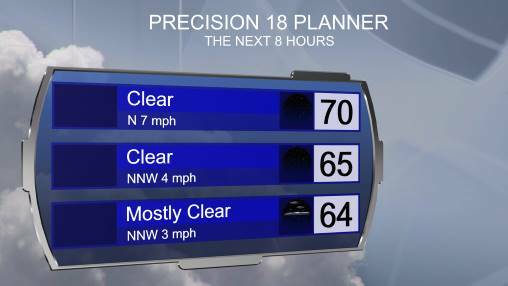 After 40s Friday night with some clearing, partly cloudy skies & southeast to south winds 10-20 mph will dominate Saturday with highs near 70 to the lower 70s. Showers & t'storms will increase Sunday, mainly in the p.m. with windy conditions & highs near 70 to the mid 70s. It would not surprise me if part of our area ends up in a MARGINAL RISK of severe weather, but higher probabilities are shaping up south of our area. After dry weather, showers & t'storms return for Thursday. I have as asterisk by the high temperature because it is unclear how far north warm front will get. This will ultimately determine how warm we get & if & how much severe weather risk we get into. 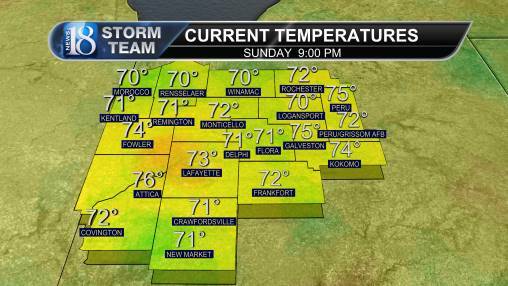 It could be a situation where it is 71 with severe risk in the southern part of the area & it is rain & 55 in the north. It is tricky. We will monitor. As we approach & get into mid-April a cold snap with frost & freezing is likely, followed by much warmer weather & the risk of some severe weather.